Later that day, I read a short excerpt from my latest novel, Insatiable, in a reading series that included, among others, J.R. Greenwell, whose drag-queen-themed books I bought as a gift for my favorite d rag queen, Miss Ilene Over, and Andrew Holleran, whose fiction and creative nonfiction I’ve admired since my college days at WVU. Following that, I participated as a panelist in “Historical Fiction: Once Upon a Time,” speaking about my Viking and Civil War fiction. After a Vieux Carré cocktail, compliments of speculative fiction writer Richard May, John and I attended the SAS book launch reading (we particularly enjoyed hearing Jameson Currier read) and then battened on seafood at Mr. B’s Bistro. 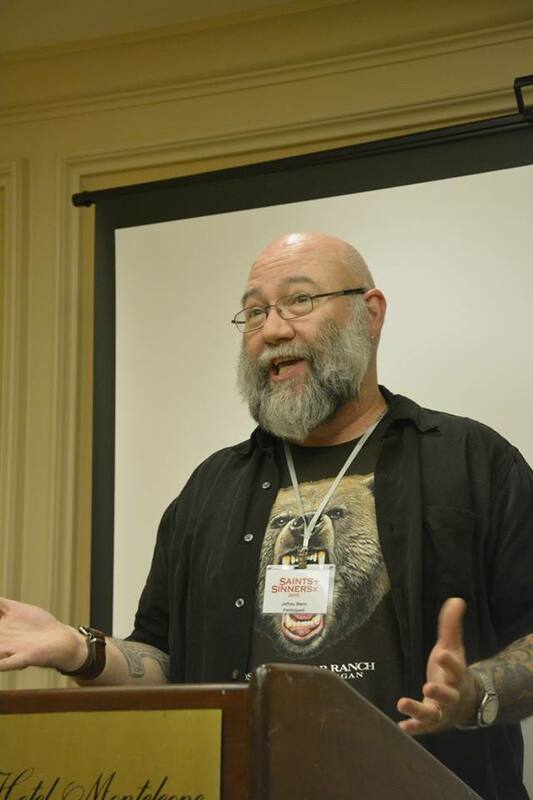 Sunday the 25th, I spoke as part of another panel, “Out of This World: Fantasy, Sci Fi and Horror,” where I discussed the vampire fiction I’ve set in my native Appalachia. After the SAS closing reception, John and I tugged on dress clothes (I can never remember how to tie a tie) and enjoyed dinner at Galatoire’s. Their filet mignon was just right, and the fried eggplant, oysters Rockefeller, and soufflé potatoes were a real treat. 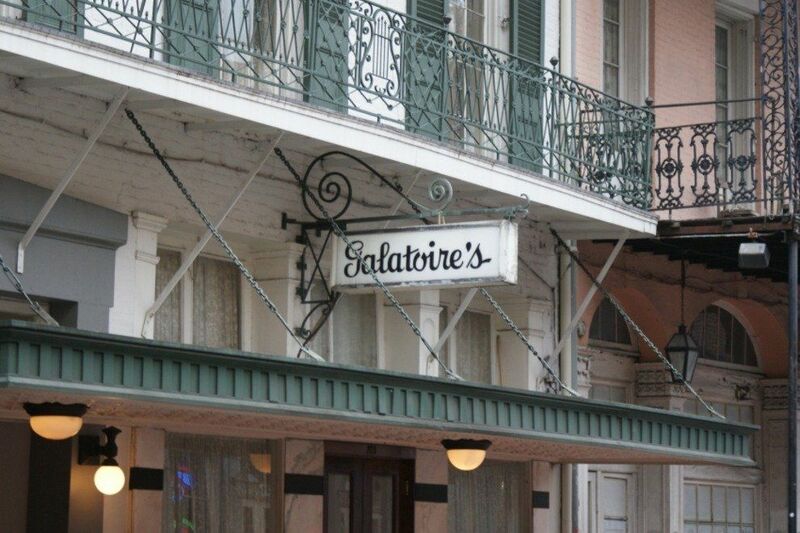 Galatoire’s is another restaurant that’s poetically inspired me. The following poem appeared in my fourth poetry collection, A Romantic Mann. the crisp-fried coating, the soft gray hearts. with crabmeat and bits of shrimp. richer than many remembered kisses. the plates now, settling back, sipping wine. who could have been here? or dismissed. Here no one’s needed. those joys too sweet to be shared. That Vieux Carre was delicious! Thanks for the company. That WAS a good drink! I may have to duplicate it at home.